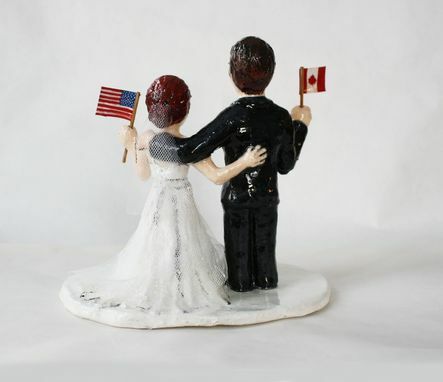 I made this cake topper out of clay and then hand painted the tiny flags to go with them. 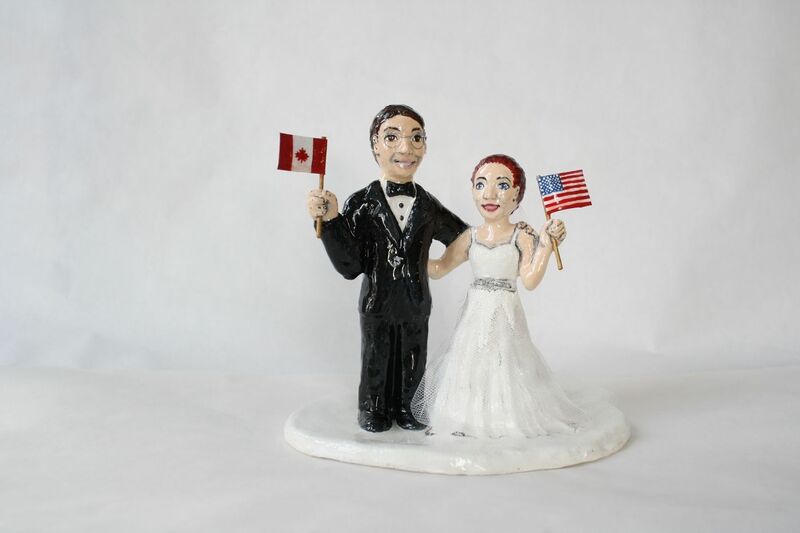 I coated them in resin to seal them and the bride's outfit was topped off with real tulle for her veil and dress. I'd be happy to make you a cake topper with any combination of nationalities in any style of outfit.